A recent report by Amnesty International rebuked Beijing for cutting off Tibet from the rest of the world through massive militarization and numerous arrests. Bad news from Tibet has become an anticipated event on a daily basis for Buddhists. And so recent reports that Beijing has cut Tibet off from the outside world at this time was not surprising for Buddhists, but this news has been upsetting. A news flash on June 8, 2012 from the Central Tibetan Administration notes that Amnesty International has joined Tibetans in criticisms of this move: "Cutting-off Tibet to outside world will not solve tensions in Tibet." 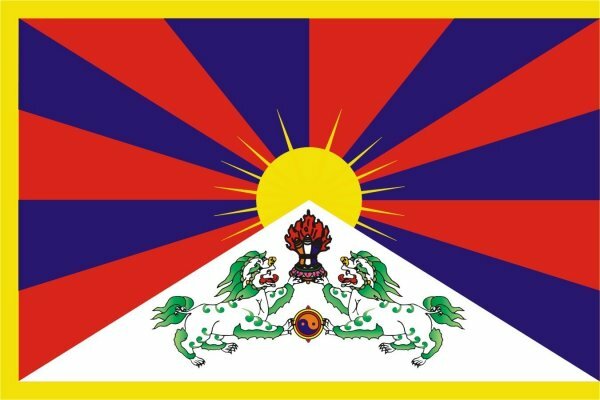 It has been stated in this news flash that the Central Tibetan Administration is deeply concerned over the Chinese government’s measures to shut Tibet’s door to the outside world as part of its crackdown on Tibetans in the capital of Tibet, Lhasa, after the self-immolation protests spread there for the first time on May 27. The Chinese government has deployed thousands of troops in the capital Lhasa along with a ban on foreign travelers to Tibet. It has been reported by the Wall Street Journal that “Lhasa resembled an armed camp with the deployment of over 3,000 troops.” It has also been reported that as part of the crackdown following the self-immolations in Lhasa, Chinese authorities have also arbitrarily arrested hundreds of Tibetans. Amnesty International has commented in regard to this news “Massively cracking down on the population in Lhasa is not a solution to the broad unrest we are seeing among Tibetans. The recent string of self-immolations by Tibetans has been fuelled by years of repressive policies that violate fundamental freedoms in the region.” And Kalon Dicki Chhoyang of the Department of Information & International Relations of the Central Tibetan Administration has said “Closing Tibet’s door to the outside world and stifling the voices of Tibetans through force will not bring an end to the deepening crisis in Tibet. Instead, the Chinese leadership must address the root causes of Tibetan grievances through dialogue.” And so the crisis in Tibet continues today.